Shopping alert! If you want a light jacket that will adapt to both cold and warm weather, then this plus size blue twill detail blazer is the right one for you! Light jackets keep you cool in the workplace during hot seasons, while the twill also gives you enough warmth for the freezing cold. Get the best of both worlds with this fierce plus size piece! 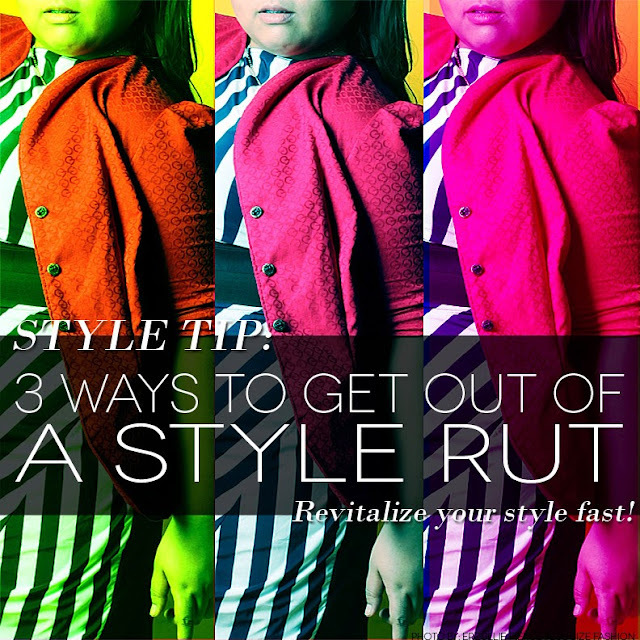 We have all been in a style rut --- a feeling wherein you feel that you are no longer putting on a style but a uniform. Dressing up should make you feel inspired and energetic after, and if you feel that everything seems monotonous. It’s time to break that streak and revitalize your look! Here are some tips to get out of that situation and quick! It’s one of the ways to start changing your whole look into another direction. Get your hair done today even if it is just for a trim. You’ll be surprised on how different you will look and feel after. Being too comfortable with your style is what causes a style rut, so try a trend that you never thought you would! Select one that will compliment your current style. Example: Always monochromatic? Add a pop of color! Always conservative? Hike up the hem of your skirt! Always plain? Wear a print. If you are a dress person, try on the pants version of your style. If you are a classic, covered sophisticate, why not try a classic, semi-daring look? It’s all about exploring the genre of style that you love and the reinterpretation of it. PLUS SIZE EVENT: 2 DAYS BEFORE THE #FIRSTLOOKHOLIDAY2013! 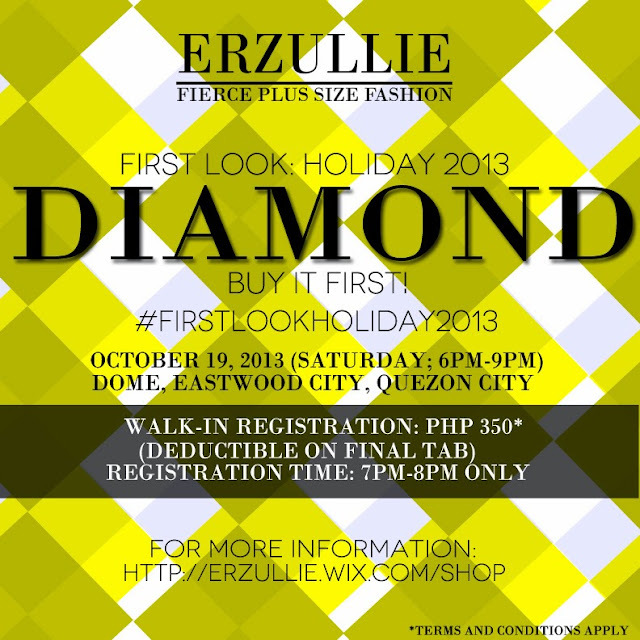 For those who still wants to view and buy the Holiday 2013 collection first, you can still come in as a walk-in guest! Registration fee is Php 350 (non-refundable and deductible to final tab) and the time that you can register is form 7pm to 8pm only. 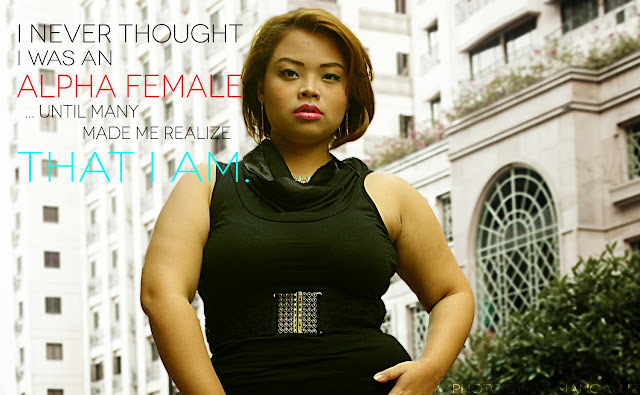 Erzullie Icon and Plus Size Model, Audrey Lee, makes this quote when asked if she ever thought she was an Alpha Female from her interview “Lady Boss”. Where would an Erzulliesta be without her true friends that lifts her up and grounds her when necessary? They are the ones that reminds us who we really are when we feel and think otherwise. And you know what? All Erzulliestas are alpha females! Boss of their game! Queen of their realm! And their friends know it! Have an awesome day, ladies!